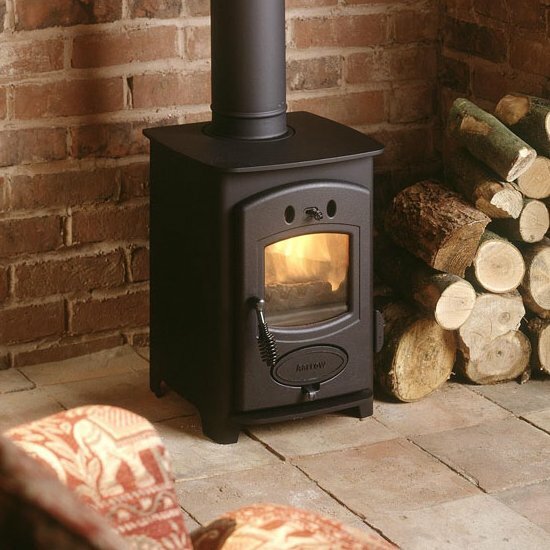 The Aarrow Acorn 5 stove are both compact models – therefore able to fit into a smaller fire place opening. Like the rest of the Aarrow range of stove these stoves these come with a life time guaranty of body. This is our first multi-fuel burner and it has been fabulous. For such a small unit it gives enough heat to warm most of downstairs and upstairs. It looks are classical whilst being practical.It is relatively easy to clean, though the plates do stop moving if not taken out and cleaned regulary. Overall a great stove that gives off a lot of heat whilst taking up a relatively small area. If stone-age man had been fortunate enough to have had an “Aarrow Acorn 5” the Iceage would have been a figment of our imagination. This is the cleanest warmest, economical way of heating I have had. A warm thanks to Aarrow Acorn. Excellent all round. It was difficult to decide which model to choose for our narrowboat. Firesonline offered an excellent range, there was someone to speak to to iron out a few questions. Arrangements for delivery were made and they came up trumps – never easy when items are being delivered to riverside locations when either the boat and/or the owner might not be present at the point of deivery! The stove itself is top quality and (in our opinion) the best type for a narrowboat. A super product, easy to use and totally reliable. an excellent stove . fits our living room perfectly and fills the room with heat despite its small size . airwash can be a bit tricky to get working , but this is a small problem . so glad i bought this as my first stove . i would certanty buy another one and recomend this brand to friends . I have been very happy with my stove, it heats my room faster than I had anticipated, being multi fuel is very useful. I have already recommended arrow stoves to a couple of friends. We installed this ourselves, very easy to maintain. we haven’t tried coal on it yet but it is burning the logs so much slower and producing far more heat than an open fire. Very efficient and economical. I have already recommended this fire to several people. Great stove, pumps out the heat and takes a backboiler, buy an Aarrow stove you won’t regret it.